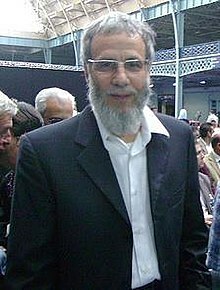 Yusuf Islam (born Steven Demetre Georgiou on 21 July 1948), also known by his stage names Cat Stevens and Yusuf, is an English musician, singer-songwriter, multi-instrumentalist, educator, philanthropist and prominent convert to Islam. It seems as if I am making a comeback but I have never really been away. We believe that the civilised world is a multicultural, multi-religious world. That is the type of message we want to get across. It seems as if I am making a comeback but I have never really been away. It’s very strange because the whole attitude changes and everything is turned inside out. Now I am seeing the shiny side again. Art was what I originally started out to do and music came second at first. I had a year at art college but I left because it was too much like school. I give all my paintings away to people I like. Geoffrey Robertson: You don't think that this man deserves to die? 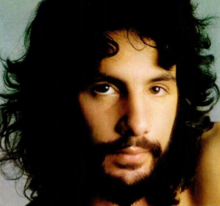 Yusuf Islam: Who, Salman Rushdie? 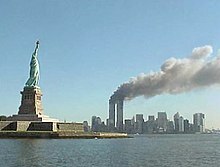 Islam: Uh, no, not necessarily, unless we were in an Islamic state and I was ordered by a judge or by the authority to carry out such an act — perhaps, yes. Rather than go to a demonstration to burn an effigy of the author Salman Rushdie, I would have hoped that it'd be the real thing. In Islam there is a line between let's say freedom and the line which is then transgressed into immorality and irresponsibility and I think as far as this writer is concerned, unfortunately, he has been irresponsible with his freedom of speech. Salman Rushdie or indeed any writer who abuses the prophet, or indeed any prophet, under Islamic law, the sentence for that is actually death. It's got to be seen as a deterrent, so that other people should not commit the same mistake again. I'm very sad that this seems to be the No. 1 question people want to discuss. I had nothing to do with the issue other than what the media created. I was innocently drawn into the whole controversy. So, after many years, I'm glad at least now that I have been given the opportunity to explain to the public and fans my side of the story in my own words. At a lecture, back in 1989, I was asked a question about blasphemy according to Islamic Law, I simply repeated the legal view according to my limited knowledge of the Scriptural texts, based directly on historical commentaries of the Qur'an. The next day the newspaper headlines read, "Cat Says, Kill Rushdie." I was abhorred, but what could I do? I was a new Muslim. If you ask a Bible student to quote the legal punishment of a person who commits blasphemy in the Bible, he would be dishonest if he didn't mention Leviticus 24:16. 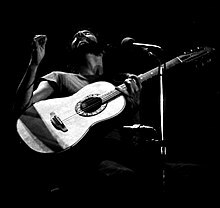 As quoted in "Cat Stevens Breaks His Silence," by Andrew Dansby in Rolling Stone (14 June 2000); Leviticus 24:16 reads : "And he that blasphemeth the name of the LORD, he shall surely be put to death, and all the congregation shall certainly stone him: as well the stranger, as he that is born in the land, when he blasphemeth the name of the Lord, shall be put to death." I wish to express my heartfelt horror at the indiscriminate terrorist attacks committed against innocent people of the United States yesterday. While it is still not clear who carried out the attacks, it must be stated that no right thinking follower of Islam could possibly condone such an action: the Qur'an equates the murder of one innocent person with the murder of the whole of humanity. We pray for the families of all those who lost their lives in this unthinkable act of violence as well as all those injured; I hope to reflect the feelings of all Muslims and people around the world whose sympathies go out to the victims at this sorrowful moment. We understand the anger, the anguish and suffering which this act of international terrorism has created amongst people. What we are worried about is the impact of the wrong kind of response to it. … We believe that the civilised world is a multicultural, multi-religious world. That is the type of message we want to get across. … I think there are many who are Muslims and non-Muslims, who are not warmongers but peace makers and want this world to be a better place. We believed the unison of the voices of so many people standing together against international terrorism is something to be valued and something to be built upon. I wanted a break. I had been on the road more or less since I was 18, you know? And I hadn't known any other life, other than, you know, hotel rooms and concerts and records and studios and press conferences. … and to me, here was a chance to jump off that kind of wagon and see life for real. You know, actually my last album was called Back to Earth. So that was the meaning of it. I wanted to join the human race again. I didn't want to be a star. I didn't want to continue with that thing, because so much illusion and non-reality is connected to it. I wanted to be real. And so I — I kind of — I found an opportunity. And the actual point about music was — the imam who I met and who I first embraced Islam with in London's Central Mosque, he actually told me to continue making records. It seems to be the easiest thing in the world these days to make scurrilous accusations against Muslims, and in my case it directly impacts on my relief work and damages my reputation as an artist. The harm done is often difficult to repair. The last place I wanted to return to was the music business. But it's the people and the cause that matter and right now there's an important need, which is bridge-building. I wanted to support the cause of humanity, because that's what I always sang about. Music can be healing, and with my history and my knowledge of both sides of what looks like a gigantic divide in the world, I feel I can point a way forward to our common humanity again. It's a big step for me but it's a natural step. I don't feel at all irked by the responsibility — I feel inspired. I wrote a song called "Father & Son" about the son running off to do his own thing. Now the story is about my son coming back and bringing a guitar into the house. A couple of years ago, one morning after prayers, his guitar was lying around. I picked it up and my fingers knew exactly where to go. I'd written some words and when I put them to music, it moved me and I realized I could have another job to do. Things just grew from there. 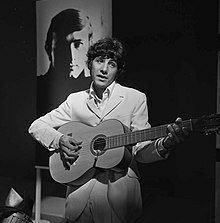 A lot of people would have loved me to keep singing … You come to a point where you have sung, more or less … your whole repertoire and you want to get down to the job of living. You know, up until that point, I hadn't had a life. I'd been searching, been on the road. I was a sitting target, in a way, for anybody who wanted to make some kind of headline. … I certainly never supported the Fatwa, but when I was asked about … the actual principle of blasphemy and capital punishment, well, like the Bible, I said, "You know, yeah, it's there, it's in the Koran." And I couldn't deny that. A big turning point happened when my son brought back a guitar into the house — You know, 'cause I'd given all those guitars away to charity — way back in 1979 and hadn't really touched the instrument, you know, for like two decades. … So then one day … when everybody's asleep and nobody's watching, I pick it up — and lo and behold, I still know where to put my fingers and out comes this music. I said, "Maybe I've got another job to do." And in this time and period it's probably the best thing I can do because lecturing, politics, God, I've got nothing to do with that. I want to just get heart-to-heart, make sure people understand some of the real subtle beauties of what I've discovered. Here's a chance, I think, for us to kind of remind ourselves, of those things we all commonly enjoy and love and share, try to get back together. You know, singing out for a more peaceful world today, I think, can only do good. … I do believe that … a lot of Muslims have yet to learn, you know, the incredible great history and contribution of Islamic civilization — and its become very, if you like, in some way puritanical — that puritanical approach will become narrower and narrower and even become more fragmented. Its that vast middle ground where people actually live, you know, that we have to reclaim; and in that area, everybody should be able to live together. And I don't think that God sent us prophets and books to fight about these books and these prophets. But they were telling us, actually, how to live together. If we ignore those teachings — whichever faith you belong, you profess, then I think we'll be finding ourselves in an even deeper mess. I never called for the death of Salman Rushdie; nor backed the Fatwa issued by the Ayatollah Khomeini — and still don’t. The book itself destroyed the harmony between peoples and created an unnecessary international crisis. When asked about my opinion regarding blasphemy, I could not tell a lie and confirmed that — like both the Torah and the Gospel — the Qur’an considers it, without repentance, as a capital offense. The Bible is full of similar harsh laws if you’re looking for them. However, the application of such Biblical and Qur’anic injunctions is not to be outside of due process of law, in a place or land where such law is accepted and applied by the society as a whole. In 1989, during the heat and height of the Satanic Verses controversy, I was silly enough to accept appearing on a program called Hypotheticals which posed imaginary scenarios by a well-versed (what if…?) barrister, Geoffrey Robertson QC. I foolishly made light of certain provocative questions. When asked what I’d do if Salman Rushdie entered a restaurant in which I was eating, I said, “I would probably call up Ayatollah Khomeini”; and, rather than go to a demonstration to burn an effigy of the author, I jokingly said I would have preferred that it'd be the “real thing”. Criticize me for my bad taste, in hindsight, I agree. But these comments were part of a well-known British national trait; a touch of dry humor on my part. Just watch British comedy programs like "Have I Got News For You" or “Extras”, they are full of occasionally grotesque and sardonic jokes if you want them! … Certainly I regret giving those sorts of responses now. However, it must be noted that the final edit of the program was made to look extremely serious; hardly any laughs were left in and much common sense was savagely cut out. Most of the Muslim participants in the program wrote in and complained about the narrow and selective use of their comments, surreptitiously selected out of the 3-hour long recording of the debate. But the edit was not in our hands. Balanced arguments were cut out and the most sensational quotes, preserved. "Peace Train" is a song I wrote, the message of which continues to breeze thunderously through the hearts of millions. There is a powerful need for people to feel that gust of hope rise up again. As a member of humanity and as a Muslim, this is my contribution to the call for a peaceful solution. Life is a journey, you know; and a lot of journeys, you go out, you come back. My Lady D'Arbanville, why do you sleep so still? There’s so much left to know, and I’m on the road to find out. Yes the answer lies within, so why not take a look now? Kick out the devil’s sin, pick up, pick up a good book now. Someday it's going to come. Lifting shadows from your mind. But I can’t think of right words to say. Lose my power, lose my land. Ooh, I won't have to work no more. If my colors all run dry. Ooh, I won't have to cry no more. Thinking about the world as it is. Why can't we live in bliss? "I'll tell you everything I've learned,"
And "Love", is all he said. Where’s it leading to, freedom at what cost? What kind of majiks, of majiks? Can make me turn and see the way I really am? And if you want to be free, be free. Yes, Martha Stewart is going to jail and Cat Stevens is being deported. Man, I feel so much safer now. 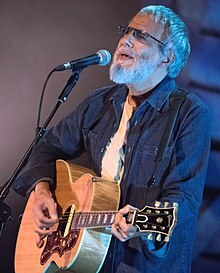 A flight from London carrying the artist we all used to know as Cat Stevens, now known as Yusuf Islam, was forced to make an emergency landing in Bangor, Maine after his name showed up on a terrorist no-fly list. I tell you, it's a real success story in the war on terror. You know, we finally got the guy that wrote "Peace Train."